Please click here to see how we use your data under the new GDPR regulations. None of your statutory rights are affected by our Terms and Conditions. 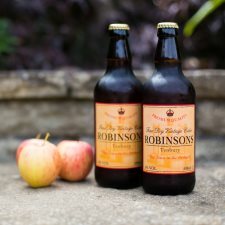 Orders are accepted on the www.RobinsonsCider.com website and will be acknowledged by an email to you to confirm that delivery arrangements are in hand. Robinsons Cider reserve the right not to accept your order (if, for example, we believe you are under 18 years of age). In such instances we will return any funds we might have accepted but will have no further liability to you. All prices are in pounds sterling and unless otherwise stated include VAT, duty, packing and delivery. Robinsons Cider is delivered in units of 12 x 500ml bottles. Delivery will normally be completed 5-10 days from clearance of payment, sooner to some parts of the country. Delivery will be made to any specified delivery address in mainland UK (which therefore excludes Northern Ireland and islands) by our specialist third party distributors. You must provide full address and postcode details. Payment must clear before Robinsons Cider instruct the shipper to deliver. Unless otherwise agreed in writing in advance, all deliveries must be signed for. You accept that the signatory may either be you or one who appears to the delivery driver to be an authorised signatory and who appears to be over the age of 18. If there is no suitable signatory when delivery is made goods will be re-delivered. In rare cases and at the discretion of Robinsons Cider this may attract a reasonable re-delivery charge which you agree to pay. If you have concerns about a delivery please email RobinsonsCider@aol.com. Our total liability for non-delivery is restricted to the value of the goods you ordered. You have a seven day right of withdrawal from a mail order contract. If you wish to cancel your order send all relevant details to RobinsonsCider@aol.com. 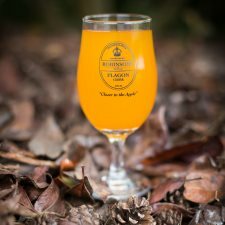 Robinsons Cider reserves the right to make a charge for collection in the event of a cancellation. In the unlikely event that you have problems of this sort, please direct your complaints straight away to RobinsonsCider@aol.com. If Robinsons Cider supplies any product that is the subject of complaint by you, you undertake to retain it and all of its packaging and return it to us, or make it available for collection, so that we can subject it to investigation at our discretion. Robinsons Cider will not disclose customer information to third parties unless required to do so by law. Cookies are used on this website but only to keep track of the contents of your shopping basket once you have selected an item. Any information we collect is to assist us in the service we provide. We may from time to time contact you with details of offers or new products or services. If you do not wish us to do so please email us and we will remove you from our mailing list.